This tri tip recipe is a pretty common one except for a few minor changes that I have made based on personal experience. First off the tri tip is a rather tender cut and used to be part of the sirloin until recent years when packing companies began separating the two cuts of beef. A normal grocery store tri tip is going to be around 2.5 to 3 pounds although you may be fortunate enough to find something a little larger. Look for a good bit of marbling within the meat and a nice fatcap. 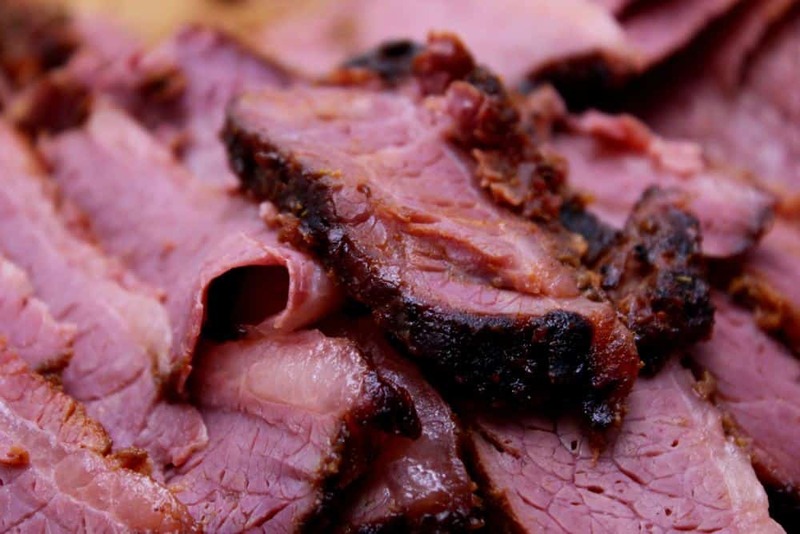 Barbecue tri tip is somewhat regional in that it is most common on the west coast and is almost unknown in other parts of the country. Ask your butcher for it if you do not see it in the display case and perhaps he can order it for you if it is not readily available. It is also calle "triangle roast" or "bottom sirloin tip". 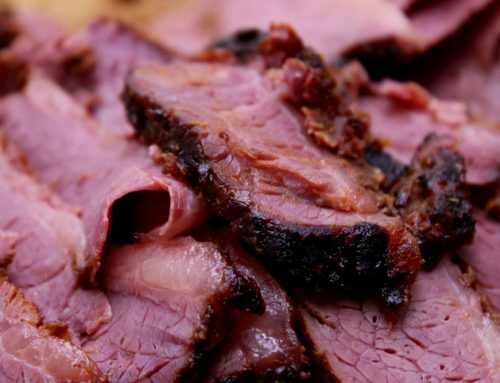 The really good thing about barbecue tri tip is that it is so full of flavor.. you will simply need to season with a bit of salt, pepper and perhaps some garlic powder to turn out a great piece of meat. Be careful not to overseason the meat and thereby ruin the natural flavor of the meat. My tri tip recipe does not include trimming the fat from the meat but rather leaves it intact since it will render completely during the smoke and leave the tri tip bursting with flavor. 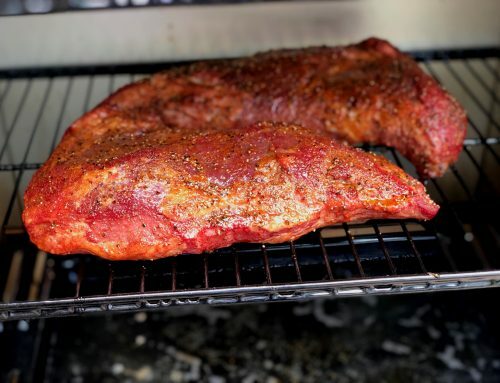 Basically start your smoker with lump charcoal and use the traditional red oak to smoke the tri tip or white oak is fine if red oak is not available. I have also been quite successful with hickory, mesquite and other common smoking woods. 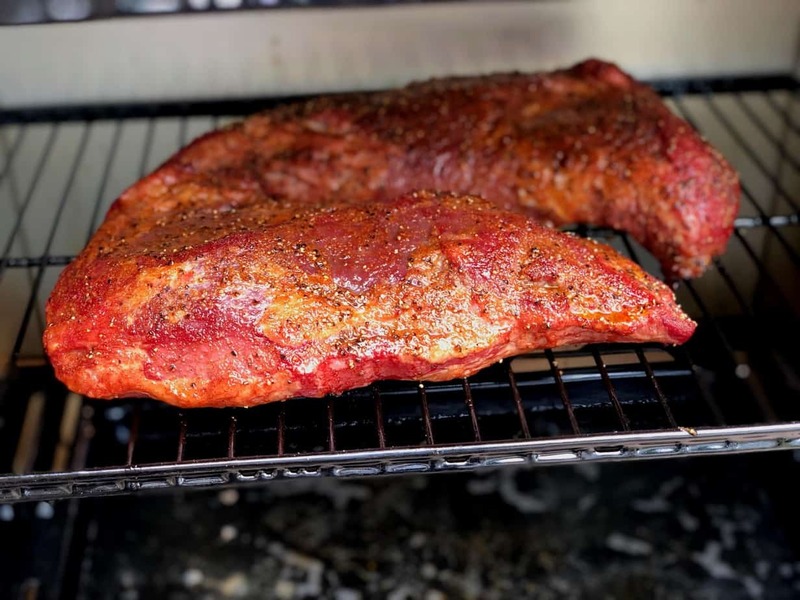 Place the meat in the smoker fat side up for the entire smoke and be sure to use a drip pan if you are using the indirect method of smoking on a gas or charcoal grill to eliminate flare ups and grease fires. Acquire a temperature of 225 to 250 degrees and smoke the tri tip for around 2 to 3 hours or until it reaches the desired doneness. The tri tip recipe can be served with sauce however, like I said before, allow the natural flavors to dominate and your diners will rave. In response to using apple juice and apple cider vinegar in your drip pan, it really depends upon who you’re talking to. You will have some that will say it is a waste of time and money that it really will impart no flavor to the meat you are smoking, and you have others that will swear by it saying that it leaves the meat tender moist and juicy. I’ve been smoking and grilling meat for about 30 years now, and what I want to tell you is that it’s personal preference, do what you want, if you think it’s going to improve the quality of your smoked meat product then by all means go ahead and do it. I’m a firm believer that if you’re using a drip pan it makes no difference whether you’re using water, apple juice, pineapple juice or any other kind of flavorful liquid, what you’re doing with any liquid that you put in there is you’re creating a moist atmosphere so the meat doesn’t dry out. 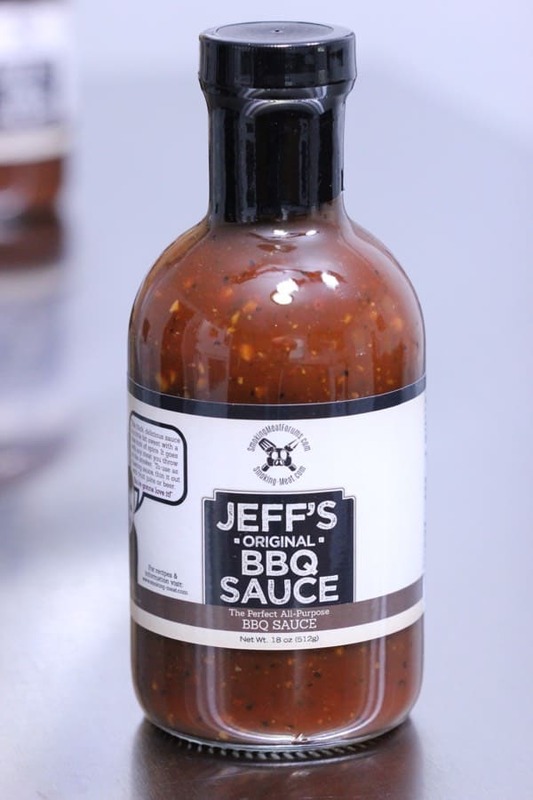 In by doing so, you can limit the amount of times you open the lid to spritz, baste, etc., thereby maintaining a constant temperature and not increasing your smoke time. WHEN SMOKING BRISKET, DO YOU RECOMMEND A PAN UNDER THE BRISKET FILLED WITH APPLE JUICE AND APPLE CIDER VINAGER TO HELP MAKE A JUCY BRISKET? ALMOST SIMILAR TO HAVING A PAN OF WATER BUT USING APPLE JUICE AND APPLE CIDER VEINAGER..
We smoke it in the pan with juices .Turns out really good. Whats your opinion of smoking with citrus woods.. We go to a steak house in Tampa and all there steaks are cooked with orange wood..Yummo..
Hi Jeff, Thanks for all your great info! 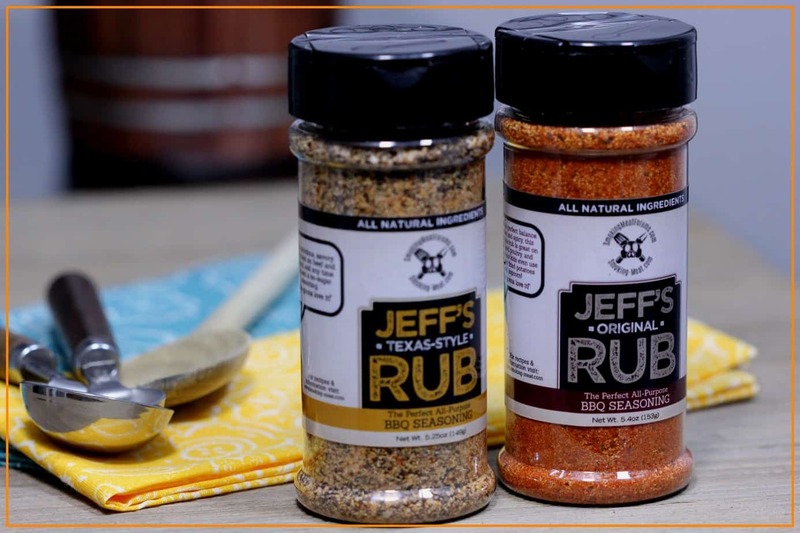 Your Rub + Sauce recipes are over the top! I was wondering if you ever heard of adding Baking Soda to a rub to crisp the skin on Poultry? Just heard about it and wanted to check before I mess up some chicken. Thanks.